It’s time to quickly review a short Mega Man OVA that came out a while back. This one was pretty fun and it was definitely cool how it came with the Mega Man X remake. I’ve seen it a few times over the years and it certainly holds up well. This OVA reminds me why we need more specials like this one in the future. The possibilities with Mega Man are simply endless! The special is a little under 30 minutes and it shows how Sigma became the leader of the Mavericks. It works as an origin story and explores a time period that we never got to see much of. Mega Man X and Zero are tasked with finding out who is manipulating the reploids and turning them against their allies. The mystery takes them through a few massacres until they arrive at the deadly truth. Zero handles the shock of Sigma being a traitor pretty well while Mega Man X is a little more shocked. The special is fast paced as you would expect and the ending is open ended since you need to play the games to see how the saga really ended. The animation is quite good. Zero’s character model at times felt a little too tall, but I’m just used to him looking a little more hunched over. The design is quite good if you look at it without thinking about the others and likewise with Megaman X. The energy blasts and effects look great. This could have easily been turned into a TV show and I’m certain that fans would have been very pleased with the results. The soundtrack is all right. It doesn’t use as many video game themes as I would have liked, but it still does sound nice and futuristic. The theme when Mega Man X was getting the charge shot ready was solid and overall it worked pretty well here. The power levels are a little wonky as I feel like Mega Man X and Zero should be portrayed as much stronger. One Mechaniloid (I doubt that is how it is spelled, but close enough) should not last so long against a combined assault. Zero should have taken out his sword unless he acquired it later on. That would have been very handy. Mega Man X’s fully powered charge shot looked very accurate though and it is good to see. His power level should really be off the charts since he was essentially built to be the ultimate reploid. Also, Zero knew about Sigma which is how he countered the Maverick’s stab, but he looked pretty bad in that fight anyway. He should have been thinking about how to land a hit of his own instead of bragging for so long. I like his overconfidence, but landing at least one hit would have certainly helped a lot as well. Sigma is strong so it should be a good fight, but Zero’s no slouch either. We got a cameo from Doctor Light and Doctor Cain as well. This helped to tie into the classic universe and I’m still waiting for the game where we see the events between them. I know that a popular theory is that Zero destroyed Bass and supposedly he may have destroyed Mega Man as well, but most of that is speculation. Others believe that Mega Man X was built from Mega Man’s parts. Personally, I’m hoping that this theory isn’t true since I want them to be completely separate. The special ends in a very sad way for Doctor Cain since he really underestimated the Mavericks. It seems like this was all just a game to Cain though so he may not be too distraught about his fate. There were also cameos from other Mavericks and the legendary Vile. It would have been great to have seen Vile more since he is such an awesome character, but I suppose that I’ll have to wait a while. Maybe if the Mega Man show does well they’ll eventually introduce the X characters. It may be more of a comedy than anything, but hopefully they’re portrayed right. At least we have the Mega Man X episode from the 90’s cartoon. Mega Man X was nice and heroic here unlike his extreme cartoon version (to an extent) so that was nice to see. He definitely was not going to put the hostage at risk although he should have at least tried going for a leg or something. It was also interesting to note that Zero did hit the hostage in the training simulation, which basically proved that Mega Man X made the right call here. The hostage was grateful as well, which was a nice touch since they can be silent or condeming at times. The reploids here seemed very reasonable. The universe built around the characters definitely has a lot of room for growth and there is still a lot to explore. 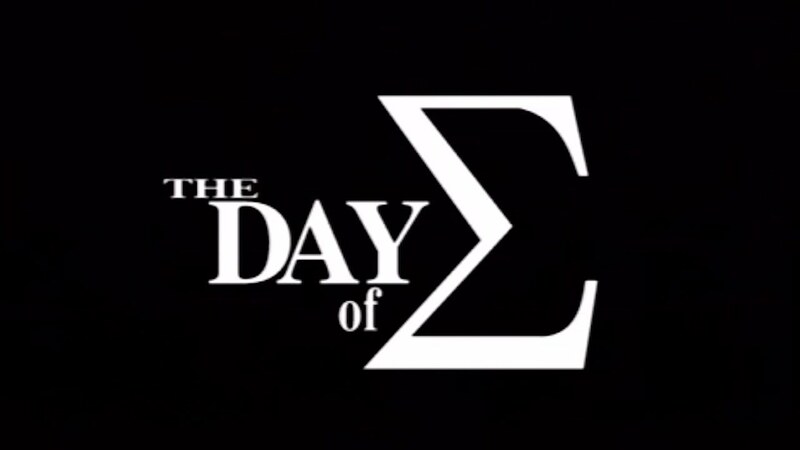 Overall, Day of Sigma is a must watch for all Mega Man fans. It finally shows the story of how the Maverick war started in the first place. This war would basically not end for quite a few games so this trigger is very important. Unfortunately, it does go against canon events so it is considered to be more of an AU/non canon adventure than anything, but it still gives you a lot of context. The original version would likely be very similar as well. With solid animation and a good soundtrack, this OVA has all of the tools necessary to succeed. Mega Man X is a great main character as well and Zero is as cool as always. One day, maybe I’ll be saying the same thing about Mighty No 9, but it is unlikely. This entry was posted in Animated Movie Reviews, Animated Movies, Reviews and tagged Anime, Anime Movie, Anime Review, Capcom, Film Review, Mega Man, Mega Man X, Movie, Movie Review, OVA, Review, Sigma, The Day of Σ, Zero by dreager1. Bookmark the permalink.